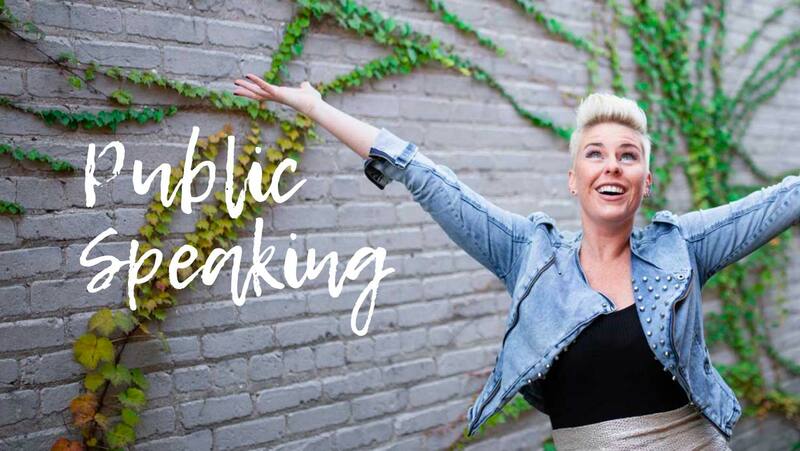 If you are looking for a fun, heart-centered, creative, dynamic badass speaker who brings her own unique approach and can inspire any audience, you’ve found your lady. Amber has been doing motivational speaking since childhood, and today offers inspirational keynote talks, content-based talks, and workshops on topics related to Leading an Impactful Life, Leading with Values, Customer Experience Strategy and Building an Authentic Brand. Amber has spoken to thousands of people including addressing the Wisconsin State Assembly, speaking as a highschool commencement speaker, speaking in classrooms across Wisconsin, HOBY Madison, DisruptHR Madison and Milwaukee, Madison Nonprofit Day, Dane Buy Local, BRAVA Thrive Conference, Madison Chapter of Women Council of Realtors, Brava Thrive Career Series, The American Family DreamBank, the American Marketing Association CraftMarketing event and many more. If you’re looking for a speaker who can tee up your audience for your top-level speaker, or if you are looking for her to steal the show, reach on out. Amber is proud to partner with organizations to help ensure that your next speaker and talk is crafted to execute on the vision that you have for your event. Check out some samples of Amber’s fun and engaging speaking style here (she is very connective and impactful too, it’s not all fun and games)!